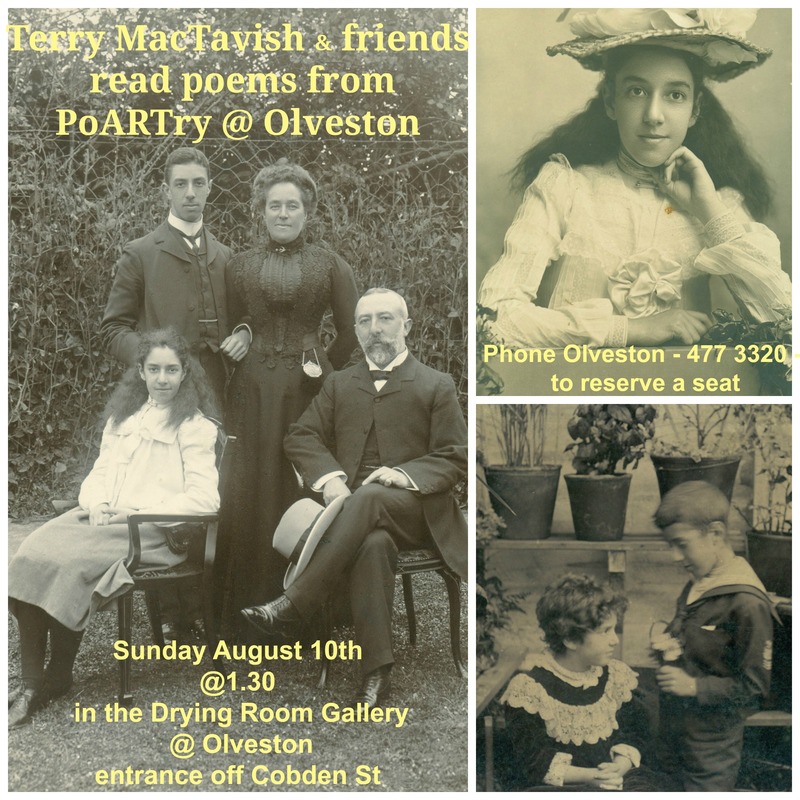 Come along to the Poetry Reading on Sunday August 10th in the Drying Room Gallery at Olveston Historic Home. Enjoy spending an hour in the company of Terry MacTavish and friends. They’ll entertain you by reading poems from PoARTry@Olveston. The readings start at 1.30 but why not arrive earlier and enjoy a quiet look at the artwork inspired by the Olveston poems. Bookings are essential. Just ring Olveston reception – Ph 477 3320 – to reserve your seat. This is a free event but donations to Poems in the Waiting Room are welcome. This entry was posted in Art, Drama, Poetry and tagged Olveston Historic Home, PoARTry@Olveston, Poetry Reading, Terry MacTavish. Bookmark the permalink.